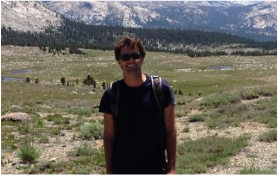 ﻿Chris﻿ is interested in tropical climate dynamics and climate change. His research is focused on the dynamics of the West African monsoon. He uses a variety of modeling techniques, including limited area high-resolution models and global-scale general circulation models to explore the mechanisms responsible for monsoon variability. Much of his work is motivated by current uncertainties in the climate system response to changes in radiative forcing. Visit Chris' webpage to learn more about his work.